It’s like a scene from your favorite zombie film. The living-dead wander the halls, looking for something unknown. We’ve all observed this at the workplace. The reality is that for every engaged employee at your work, there are likely two who aren’t. The benchmark State of the American Workplace study by Gallup pegged employee engagement at 30%. It’s even more anemic in Europe. Some of the biggest reasons employees space out: a lack of purpose, inadequate recognition or compensation. 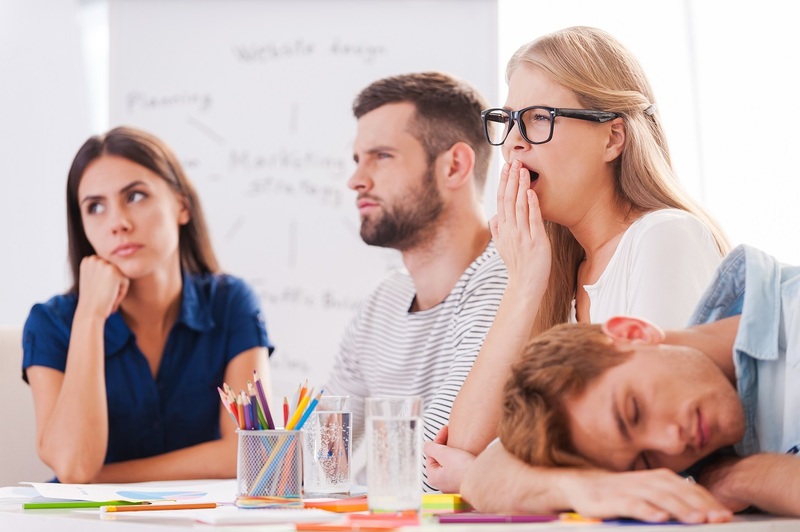 As a business owner, dealing with sleepwalking employees is a serious drag on productivity – a Gallup poll indicated that disengaged employees cost U.S. companies around $500 billion per year. And the empty-eyed can be a real buzzkill to a company’s culture. Going Brad Pitt on them with a zombie-eradicating weapon isn’t an option, of course. Our software, MyObjectives was built on those two principles. By giving employees opportunities to think and do things they perceive to be connected to a greater cause and that’ll drive team success, we tap into a greater source of energy than the darker and lazier sides of our nature. Business owners usually are entrepreneurial types with a grand vision. Sometimes they’re not great at sharing this vision with their employees, or maybe there’s a desire to share but they lack the skill to do it. MyObjectives provides a framework for translating the leader’s vision into a set of long-term goals that will drive the organization toward success over the next three to five years. Once those are in place, every employee on every team uses MyObjectives to create their own objectives that align to that vision. Those objectives are reviewed and approved by the business owner. By involving employees in this process we’ve given them skin in the game, and we’re not talking gross-out zombie stuff. Teams and individuals become an active part of the company’s drive to success. One of the most addictive elements of MyObjectives is the real-time scorecards and the ability to win badges and other visual awards as tasks and objectives are completed. Team feedback is constant and communication flows through the app, energizing team members daily. It’s like the opposite of the dreaded annual yearly reviews, which tend to spawn disengagement like a Zombie Apocalypse. With MyObjectives, all eyes are focused on the right work all of the time. The ability to raise your team score by completing an objective rallies team members to bring their best game. Business owners define “game periods” in MyObjectives. They’re usually a three-month span – and an industry best practice. Teams push to reach what we call the “success zone” during the quarter. The max points a team can score is 1,000, but that doesn’t happen very often. A baseball player hits .300 over a long career and they’re a candidate for the Hall of Fame. We think 70% success is pretty good, so we award teams for reaching 700 points. As teams approach 700 points, every team player amps up their effort in the final push for success. Once the quarter ends, team members gather and discuss what went right and what they learned. Then the focus shifts immediately to the quarter ahead and what each team member can do to push the organization further toward its long-term goals. New objectives are crafted. Business owners ensure alignment across the organization. Then it’s “game on” all over again. It’s a tough environment for zombies to survive. They’re going to want to engage in the fun that comes with being on a winning team and seeing with clear eyes how their work makes a difference. Alliance Enterprises is proud to announce the first Software as a Service application to bring Goal Management to Teams. Refinements and flexibility describe the work the MyObjectives team released today. And some news about Chocolate.